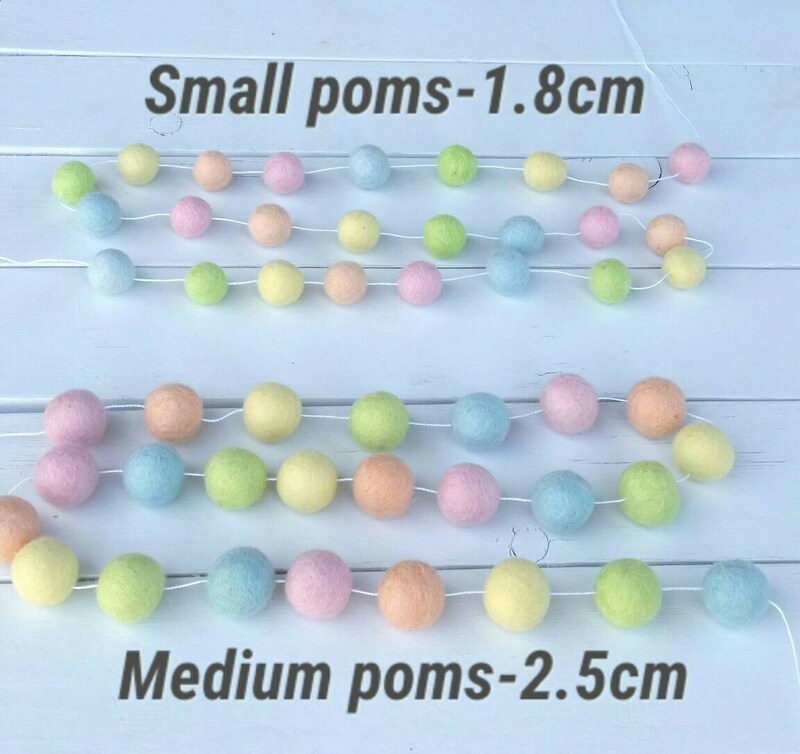 Soft Pastel Pom Pom Garland for Easter Decor! 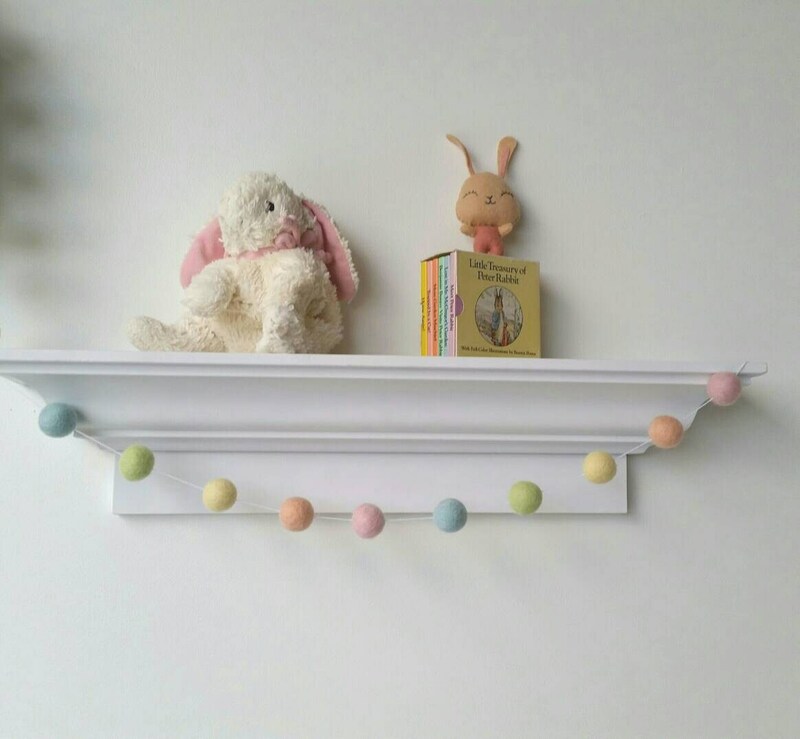 Add some sweet colorful cheer to your Easter decor with this lovely pastel garland! 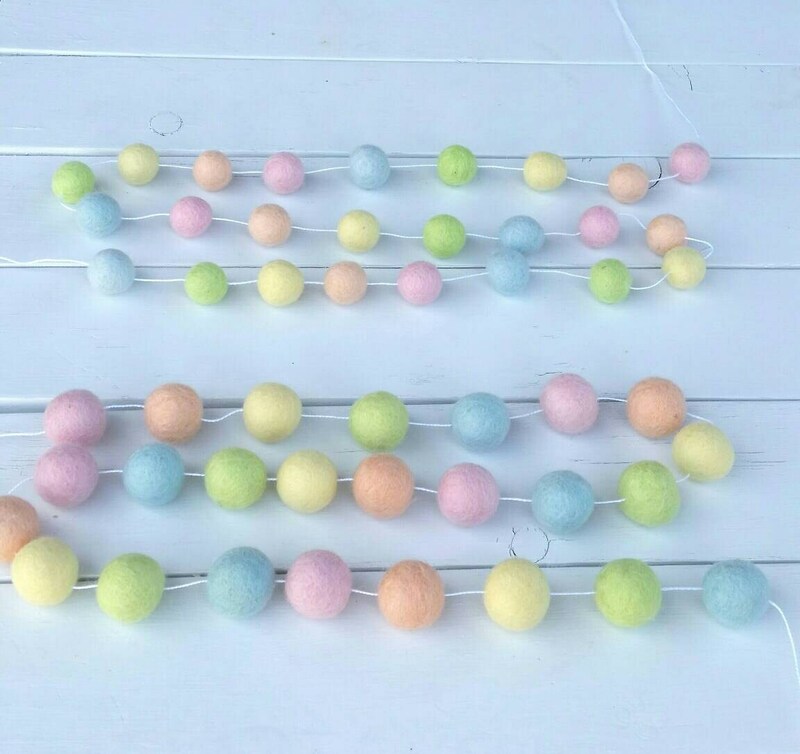 This garland to purchase includes 5 colors (pastel pink, peach, yellow, green, and blue). 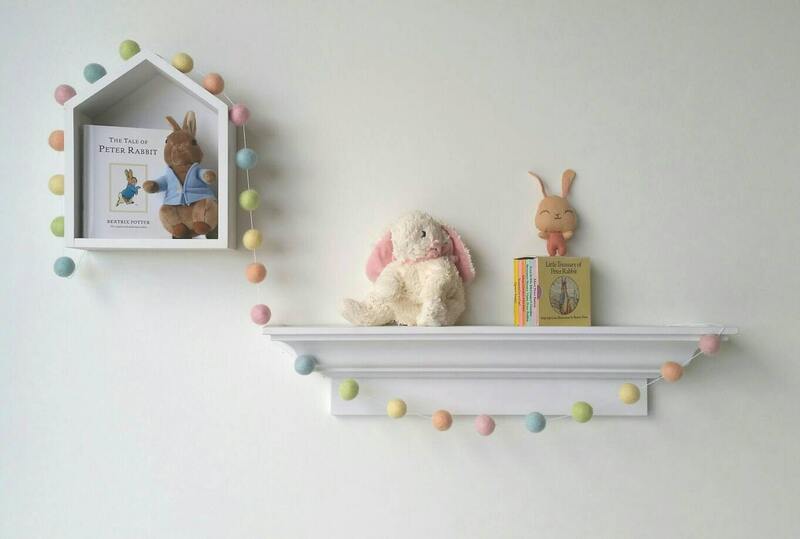 Please make sure that it is out of reach of little ones (especially when baby can sit up and pull up to a standing position; this can be a choking/strangulation hazard).